 The society is extremely proud and honoured to be able to announce that we have received a spectacular total of 5 NODA Nominations for our 2014 production of Jesus Christ Superstar. A HUGE “well done” to all of those involved. The awards evening is held in May 2015. We’ll let you know how we get on.